There are lots of things I love about Seoul. I’m sure most of you can guess food is one of them. Yes, that is. Seoul has lots of restaurants with amazing food that are beautifully decorated. Even better, most of them are inexpensive! But there is much more than great food in Seoul. Another impressive thing about Seoul is that the entire city is wired like a place in a science fiction movie. People in Seoul can chose among over 100 channels to watch on their mobile devices even on the subway train. They can also video chat and pay for their dinner with the same mobile device they watch TV. In some areas, people can touch one of the street lights to gather information they need. Whether it’s to chose the most romantic restaurant for a date or to find the perfect dress for girls’ night out, they can rely on the information booth attached to a street light. That’s not all. At every bus stop, there’s a monitor showing exactly where each bus is and when to expect them. But there’s something else I love about Seoul. I love…. 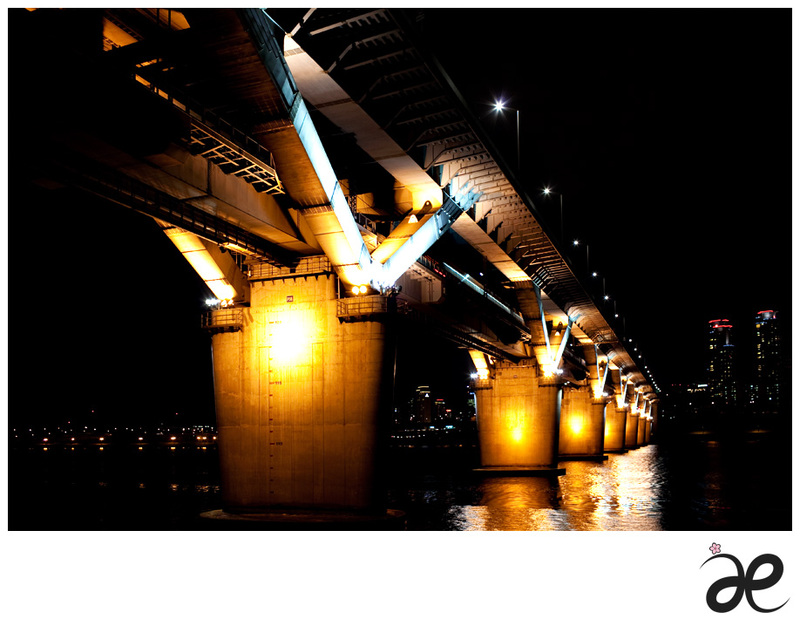 I know it sounds weird, but I love bridges in Seoul. Han river splits Seoul into two; the northern Seoul and the southern. The northern Seoul is traditional, historical and crowded. The southern part is well-planned, modern and wealthy. It’s kind of like Old Delhi vs. New Delhi. And the bridges on Han river connect the two parts of Seoul as if they are trying to lessen the disparity between the two. 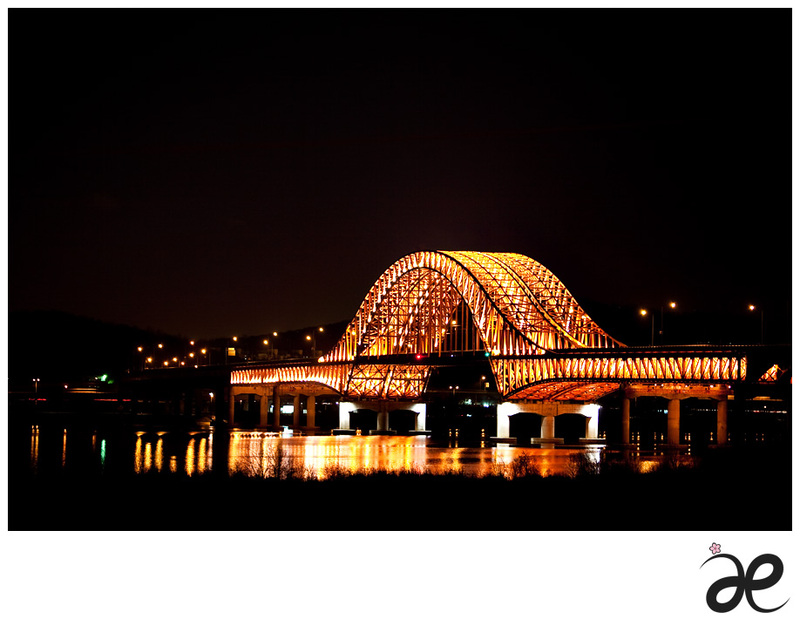 All of the bridges shine beautifully at night, and these are two of my favorites.